It’s no secret that using tobacco products is not a healthy choice. What may not be as well known, however, are the costs in lost time and productivity because tobacco users may not be as healthy as other employees. Behavioral Modification: This type of therapy could include telephone, Internet, or in-person individual or group counseling sessions. This type of therapy is extremely important to help smokers address and change their habits and behaviors associated with smoking, plus receive ongoing support during a challenging time. Counseling has been shown to increase the rate of successful quitting. Prescription/OTC Drug: Many therapies are available here to help smokers quit. An employer might consider lowering or eliminating copays and deductibles associated with these drugs. 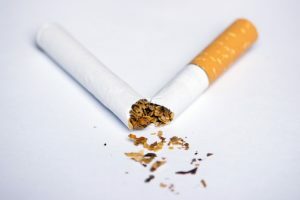 Covering smoking cessation drugs in your benefit plan will not only improve the quit rate among those attempting to quit, but also may encourage others to try quitting in the first place. Many employers do not realize the full cost of smoking to their company. Smokers are much more likely to develop serious chronic medical conditions, visit the doctor more often, be absent from work with an illness, or have a short- or long-term disability, all of which are very costly for a company’s health plan and productivity. In fact, smokers cost private employers in the United States an extra $5,816 per year compared to nonsmokers, according to researchers at Ohio State University. Smoking cessation programs should be a part of any organization’s benefits package, both for the health of employees and to dramatically impact the bottom line. For help establishing a smoking cessation program, contact the Benefits specialists at The Reschini Group.